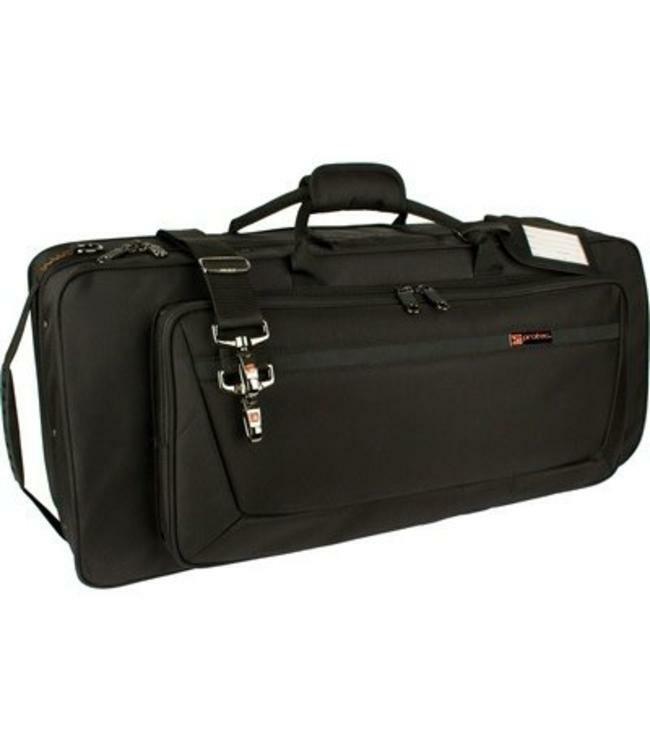 Protec's TRI PAC case accommodates an alto saxophone, flute (B or C foot), and a Bb clarinet in a compact slim design. The velvet lined interior features a softly padded alto saxophone section, removable flute and clarinet molded sections, and removable interior storage section – perfect for reeds, tools, lubricants, and other small accessories. The exterior features a strong wood frame with weather resistant ballistic nylon exterior. The TRI PAC case is compatible with both Protec’s optional backpack strap (Model #BPSTRAP) and optional trolley (Model # T1).